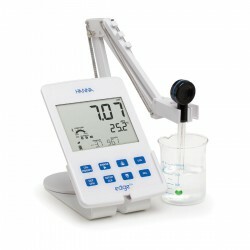 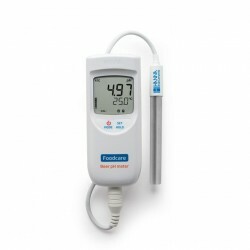 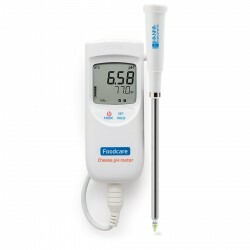 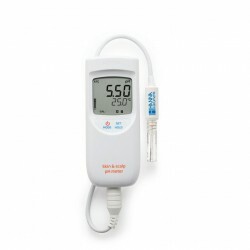 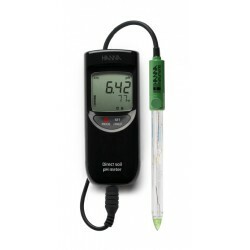 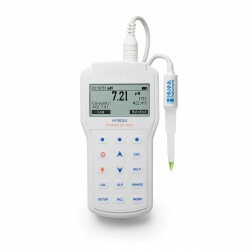 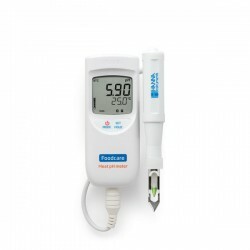 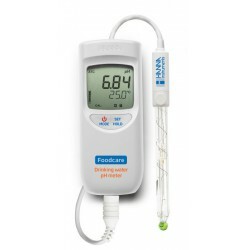 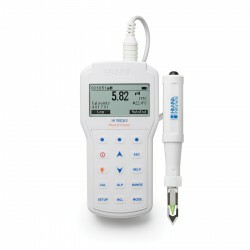 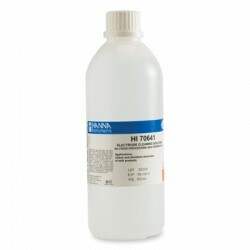 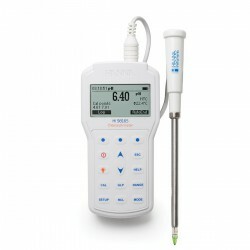 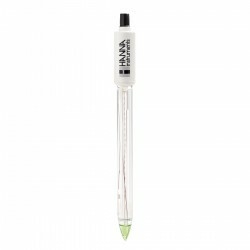 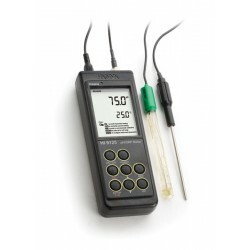 The Hanna Instruments HI99164 is a durable, waterproof, and portable pH and temperature meter designed specifically for yogurt analysis. 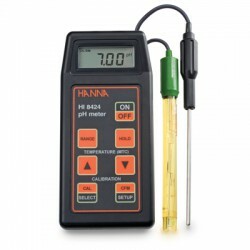 Automatic calibration is performed at one or two points with two sets of buffers. 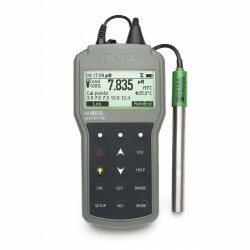 All calibration and measurement readings are automatically compensated for temperature variations. 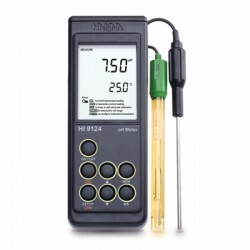 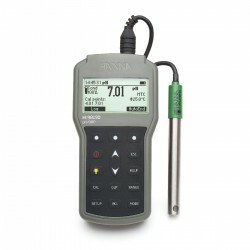 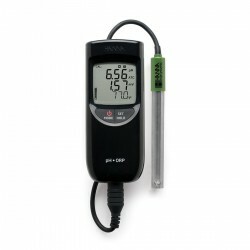 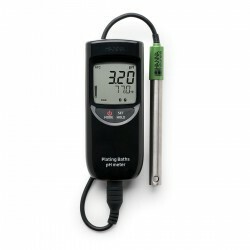 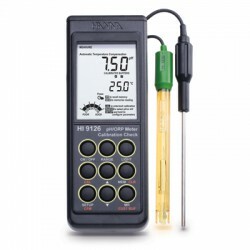 The split-level LCD displays both pH and temperature readings, along with indicators for reading stability, battery percentage, and calibration instructions. 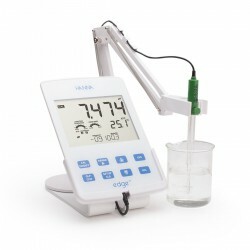 The HI99164 uses the FC213D glass body, amplified pH electrode that offers numerous features that improve pH testing for yogurt producers. 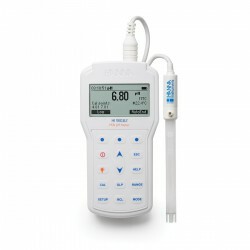 Waterproof - The HI99164 is a waterproof meter rated IP67 for immersion in up to one meter of water for 30 minutes. 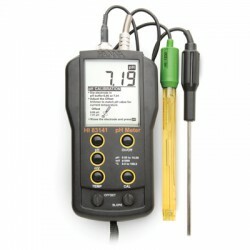 HI99164 is supplied with FC213D pH probe with internal temperature sensor, batteries, instruction manual, and rugged carrying case.